Good pizza: slow dough and fast baking. Hope we can inspire you! Check out part 1 of our pizza adventure here! Last weekend it was back to the pizza baking and dough making. Next to sharing some more pizza baking clips live from the Roccbox pizza oven, we also want to dish out our pizza dough making method. For the pizza dough we use a high gluten (13%) Italian 00 flour with a W factor of over 300. This W factor indicated dough elasticity and extensibility. Around 300 is a sweet spot for long fermented pizza dough. As a test we made pizza dough with short, medium and long fermentation times. We found the long, fridge retarded dough was best. If you are in a hurry or forgot to make dough, you can make a basic pizza dough in around 2 hours of course. The difference with the long fermented dough is noticeable in depth of flavor and structure, with a different bite. 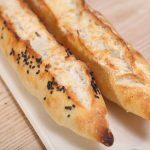 The short fermented dough is more bread-like and baked at the same time and temperature, this dough can seem more compact and almost a bit raw. So, we want to share with you the recipe for a 24 hour, fridge retarded pizza dough that you might like to try and hopefully like too. We also had some fun with toppings and crust. We made pizza with truffle cream and greens from our garden which was delicious! Inspired by a Roccbox video, we also made a ‘racket pizza’. 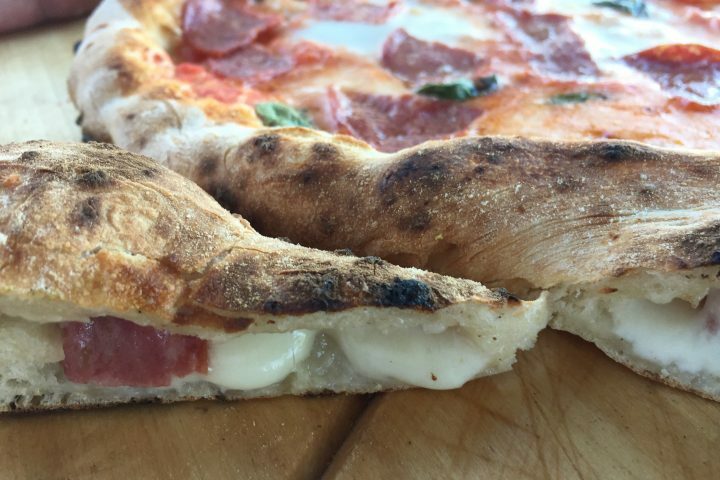 You basically use a corner of the crust and stuff it, so you get a pizza and small calzone in one. What’s not to like! Combine all ingredients in the bowl of your standing mixer and knead for 5 minutes (knead for 10 minutes by hand). Take the dough out of the bowl and onto your work surface. Knead by hand for an extra minute to give it a smooth finish. Shape into a ball, place into an oiled container, cover and leave to rest for 10 minutes. Now do two full sets of stretch and fold. Place the dough back in the container and again leave to rest for 10 minutes. Now do one full set of stretch and fold. Place the dough back in the container and once again leave to rest for 10 minutes. Divide the dough into 4 equal parts of around 240 grams and shape into balls. place them in a container with enough room for each ball to develop and leave to ferment in the fridge* for around 24 hours. You can take the dough out of the fridge around 1 hour before use. We find it’s easier to handle when we do this. *Our fridge temperature is around 6°C. The amount of yeast and hours in the fridge are based on this. But you do have a bit of leeway with this dough if you need it when planning your pizza baking. For example: Take 585 grams of flour for 24 hours in the fridge at 6°C. This means you need: 585 divided by 100 times 0.448 = 2.62 grams of yeast. Racket pizza, the folded handle is filled with mozzarella and pepperoni. Calzone and regular pizza in one! Our latest baking session we experimented with some new toppings which could quickly become a new favorite. Inspired by recipes on the Roccbox site we first grilled some aubergines in the pizza oven. We then used pieces of aubergine (eggplant), together with mozzarella, fresh Parmesan cheese and a pesto made with jalapeño chili peppers, olive oil, basil and pine nuts as topping. We also made a variation with a tomato sauce base. It was delicious with just the right amount of fiery kick from the peppers. With leftover dough and pepper pesto and an added hint of garlic we made this naked pizza. Super fun to watch when it bakes. Also great to use this bread as an appetizer, cut into strips. Absolutely great website and recipes thank you very much for your detailed steps. The new Pizza one I am a little confused as to after taking the dough out of the Fridge and leaving it for an hour at room temp what temperature and for how long do I bake it with my toppings? We do NOT have a Roccobox, but a normal good quality oven? I made the Pizza using the Oven timings as given by the manufacturer but much rather use your timings for this Particular dough, I also added the sourdough starter and the base turned out nice would like to have had them with a more thinner base though but it was a challenge to roll out thin the taste was great though. I agree fully with your tinned tomato sauce process, it doesn’t get much better than that and most pizzarias do this….. I like to put the whole can (liquid and all) in the blender and then let the water drip out through a paper coffee filter for a couple of hours. Cheers for a fantastic site! Great to get your message all the way form Japan! And thanks for sharing your tip with the coffee filter. Excellent. Hope you can find all the ingredients and flour you need for Italian baking in Japan. Can be a challenge sometimes, but also fun to seek and eventually find what you need. I have already tried yesterday your bulking dough recipe,had let for 24h fermentation,I will try today😉..but actualy I don’t exactly understand about between “two” times shaping and “one” time..I did it one time and after 50min another time,rest for 10 min than was making balls..🤔..anyway I will let you know..ohh and btw what hydration you use?I use about 60%.. Your pizzas look really fantastic!!! One set of S&F consists of stretching and folding the dough right over left , left over right, bottom over top, top over bottom. So if we indicate 2 sets you do this two times. If you open the dough calculator under the ingredients list you can always see the eaxct amount of hydration for a recipe. This one for the pizza dough is 62.4%, so that is not so far off from your 60%. thank you so much for your offer and reciepes you provide.. 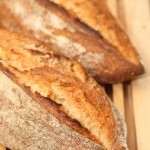 I would like to ask about percentage between DIY and fresh yeast which I used in our pizzeria? If you convert from fresh yeast to instant dry yeast you multiply the weight of the fresh yeast by 0.33 or in other words you use about a third instant compared to fresh. Enjoy your pizza baking and all the best for your pizzeria! Thank you, we do not (yet) have a lot experience with sourdough pizza baking (in general we like the less sour taste of the yeast based dough better in pizza), but maybe you could modify the above recipe and give it a try. We would start by adding 15 to 20 grams of sourdough culture to the dough with the 24 hour development if we were to try this for a recipe. If you added those 15-20 gr of sourdough culture, would you leave out the yeast, or include it as well? We would leave it out Rita. Let us know how it goes! Thank you for the great website you provide! If I don’t have the Italian 00 flour, which flour could I use instead? 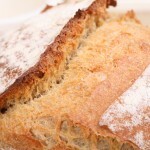 We would recommend a strong white bread (wheat) flour of good quality. Look at the label and check the protein content, making sure it is 12% or higher. I use Doves farm pasta flour – available in most big supermarkets in the UK. Can you freeze this dough after the 24 hr period? Thanks, great content on your website. Yes, you can and we know people do this, but we are not a fan because nothing compares to fresh and freezing means loss of quality, and it really is such a small amount of time to make new fresh dough. But we understand it if you not want to waste anything. We usually bake some pita’s with excess dough that are not made into pizza, and put them in the freezer. If you do freeze it, make sure to wrap it and place it in an airtight container so it does not dry out. Usually you need to thaw it again overnight, and think in advance to take it out of the freezer at the right time of course. 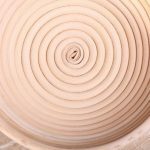 I’m a baker(in the UK), and fan of your site/projects. 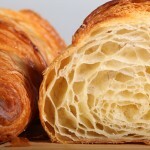 When I speak to my enthusiastic customers that bake I always reference your site for them to delve into. I have recently been looking at the Roccbox and couldn’t believe my luck when I saw you folks had been playing with one. 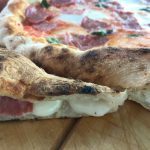 I’ve been on the pizza project for 6 or 7 years now, and have a multiple dough recipes that are excellent. When I try a pizza I find myself analysing 3 elements, The dough, tomato base and the cheese(in terms of a Neapolitan Pizza). What I haven’t got sorted is the tomato base. I find this element so difficult to solve. I’m seriously thinking about buying a poly tunnel and growing my own, as commercially produced tomatoes picked green and ripened in transit are a bland almost tasteless shadow of what a real tomato can be. Anyway, have you thought about working on this element of a pizza? I’ve had pizzas when on holiday in Europe and the tomato base was so sweet and fruity, it made me realise what a disappointment tinned tomatoes or shop bought tomatoes were. First of all thank you very much of course for your courteous comment, much appreciated! About the tomato base, that is a very interesting subject and you are so right about the average shop bought tomatoes, being bland and not producing a good pizza sauce base. We do however use tinned tomatoes, like many Italian pizzerias. Of course it would be wonderful to grow your own and get a crop of juicy flavorful and ripe tomatoes. You can do that and it will be excellent. But in the meantime you could give the good tinned ones a try. If you can find good quality organic ones or the tinned San Marzano. You know, they actually are tinned more ripe than flavorful than the fresh shop bought, so it can be a good base for a sauce. And years ago we started out with making a sauce with all kinds of herbs and a whole process to make it. Now, after trying and reading and learning, we came to the conclusion that the best sauce as a base for pizza is the simplest one, without other added stuff and without cooking. Take a tin of tomatoes, and with a fork, take out the whole tomatoes. Carefully squeeze a tomato in your hand to get ride of the watery tomato juice (reuse it in something else maybe) and put the tomato flesh you are left with in a blender or use a stick blender. Add a few pinches of salt and, depending on the sweetness of the tomatoes, a hint of sugar. Blend this to a smooth sauce. Ready! Hope you want to give this a try and maybe after you grew your own tomatoes, also use the fresh method and compare the two. If you do get a Roccbox, let us know how it goes! Bij voorbaat dank voor de tips! Je hebt gelijk, Italiaanse bloem is vooralsnog niet echt te vinden in de supermarkt. Wij gebruiken pizzabloem van het merk Caputo (ook op aanraden van een Italiaanse bakvriend) en dit werkt perfect. Voor die tijd hebben wij altijd ook met een heel redelijk resultaat (biologische) tarwebloem gebruikt van molen de Zandhaas in Santpoort. Ga ervan uit dat je het beste tarwebloem kunt kopen en dan met een redelijk hoog gehalte aan eiwit / gluten, dus het liefste rond de 12%. Ook het soort gluten is belangrijk en daarin is deze Italiaanse pizzabloem juist zo optimaal. Je kunt het deeg heel goed oprekken zonder dat het te elastisch wordt. Check het proteïne-gehalte op de verpakking. Gemiddeld heeft patentbloem een lager gehalte en deze bloem is meer bedoeld voor gebak en koekjes en cake. Als je zoekt naar bloem in de supermarkt zouden wij de biologische tarwebloem van de Albert Heijn aanraden, die zit rond de 11% maar we weten uit ervaring dat deze wel een goed resultaat geeft. Ook bij de Aldi heeft men als het goed is regelmatig Duitse tarwebloem (Type 550) die ook heel aardig is van kwaliteit en uit mijn hoofd een eiwitgehalte van 11.5%. I think it is a better way to put the dough into the refrigerator before dividing it into equal parts. my refrigerator is not big enough for all that small dough balls. Stretch & fold together with time help develop the dough. With each s&f, allowing easy and quick handling of the dough, you see the difference in development, the dough getting more smooth after the first one and even silky smooth after the second round. I’m so very grateful for the pizza dough recipe! For the step that requires 2 full sets of folds and turns, does the dough rest for 50 minutes between each set? I am also confused about this step, it is not very clear! Hope it is clear now for you too CC. So just 10 minutes rest. We hope the instructions are clear now. so it is 10 minutes between each set, thanks and you should update the recipes above. Could it be that youtube showed you a following video that was not ours?! Our clips are maximum 35 seconds and there is no text in them and no recipe info! That would explain the confusion. Perhaps the confusion is caused by the text or video in the S&F article (www.weekendbakery.com/posts…ld-method/), which is referenced in this recipe. Just follow the specific times stated in this pizza dough recipe! Sorry it is not clear enough. You do the 2 sets S&F and then rest for 10 minutes. Then do 1 set and again rest for 10 minutes. So a very short while. We have simplified the sentence now, so hope it will be clear this way. There was an extra sentence which said that you could do an extra set if needed, but maybe that was confusing. Enjoy the process and pizza baking! Great to read your comment Jon. So glad you were able to try it and it worked well for you too. Leuk! Hebben jullie al geëxperimenteerd met zuurdesem voor pizza? Wat leuk van je te ‘horen’. Verder dan een halfslachtige poging en zuurdesem pita zijn we nooit gegaan. Heb jij goede ervaringen? Je bakt vast nog steeds van die mooie hout gestookte exemplaren. Wat is je huidige favoriet? Gebruiken jullie de meegeleverde gasregulator? Ik heb gasflessen met een schroefaansluiting, en vroeg me af waar ik een gasfles kan kopen met een klikaansluiting. Ik kan wel een andere regulator kopen, maar gebruik de oven liever zoals geleverd. De pizza’s zien er erg goed uit bij jullie, en ik ga het deegrecept zeker proberen. Na wat speurwerk op het internet gevonden welke fles in Nederland leverbaar is. Wij hebben een lichtgewicht fles Calypso van Antargaz gekocht. Daar zit de juiste snelklik sluiting op voor de Roccbox 37mbar drukregelaar. Lekker makkelijk zonder steeksleutel erop en eraf. Veel plezier met het bakken. Tip zoals wij het nu doen, verwarm de oven op tot rond de 370 graden op vol vermogen, draai het gas op de laagste stand en laat dan de temperatuur egaliseren en stabiliseren rond de 400 tot 410. Als je de pizza er in schuift dan gelijk op vol vermogen, als de pizza klaar is weer terug naar laagste stand. Ik heb de roccbox al geruime tijd. Op Ebay Duitsland kun je gasregulators vinden van 37mbar met schroefaansluiting. Je kunt dan de goedkopere groene gasflessen gebruiken! Het is een fluitje van een cent om de regulator te vervangen dus doen zou ik zeggen. Bedankt Bob, dat is een fantastische tip. Gaan we achteraan! Ja, dat kan zeker, maar dan verklein je de hoeveelheid gist weer. Als je een tijd in gedachten hebt, kunnen we je de hoeveelheid aangeven. Ook is het bij een langere fermentatie een beter idee om het proces op te splitsen in een 24 uur bulkfermentatie (dus deeg in 1 stuk laten) en een fase van bv 8 of 12 uur ‘opbol’ fermentatie (dus verdeeld in bolletjes). This pizza dough is amazing and the long fermentation process is the only way to go. Everyone said it was the best pizza they have had. Thank you for another great recipe. Keep them coming! So wonderful to read your enthusiastic comment. It’s the best to get such great feedback from friends and family! Ik ben wel benieuwd of de Roccbox inderdaad zo snel opwarmt zoals de beschrijvjng zegt. In 15 minuten 500 graden. Hebben jullie dit gemeten? Bij voorbaat dank voor een reactie. Dat klopt dus niet wat ons betreft. Onze ervaring is nu dat je ongeveer 30 minuten moet uittrekken om rond een stabiele temperatuur van 400 tot 410 Celsius te komen met de gasbrander. Op het internet vind je ook opmerkingen over dit onderwerp. Het zinnetje over 15 minuten en 500 graden staat ook zodanig omschreven dat je het een soort van meervoudig kunt uitleggen. Beetje jammer dat soort zinnetjes, maar voor ons is dat halve uurtje ook geen probleem. Het apparaat is tot nu toe verder helemaal naar onze zin en we zijn erg blij met de resultaten en kijken we enthousiast uit naar alles wat we nog meer willen bakken en proberen! Goed om te lezen dat Roccbox bevalt! Wij hebben ook een RoccBox aangeschaft, een heel leuk huwelijkscadeau :-). Inmiddels twee keer pizza in gebakken. Het opwarmen duurt inderdaad wel even iets langer dan die aangegeven 15 minuten. De eerste keer werden de randen van de pizza’s wel heel erg snel donker/zwart, terwijl de bodem (helaas) niet krokant genoeg was. De tweede keer hebben we minstens een uur voorverwarmd om op een stabiele temperatuur van 400-425 graden Celsius te komen. Vervolgens hebben wij het gas/de vlam laag gezet op het moment dat een pizza de oven inging (om die zwarte randen te voorkomen). Met 4 minuten baktijd per pizza, vond ik ze deze poging wel beter gelukt dan de poging in slechts 90 sec. bakken, maar wel met (te) zwarte randen. Ook hebben wij tegelijk pizza’s gebakken in de Rofco oven om het verschil te testen. Ik moet zeggen, uit de Rofco kwamen echt veel krokantere pizza’s. Maar we experimenteren vrolijk verder met de RoccBox. Ik ben benieuwd of jullie al weer nieuwe ervaringen hebben opgedaan met de RoccBox en wat jullie vinden van het verschil tussen “Rofco-pizza’s” en “RoccBox-pizza’s”. Wij bakken ook rond de 400 C en bakken een kleine 2 minuten (recept deeg zoals omschreven voor een ‘Napolitaanse’ pizza met een wat brood-achtige en fluffy korst ). Het gaat eerlijk gezegd fantastisch en we zijn heel blij met wat we produceren. Het is de bedoeling dat je de pizza regelmatig even uit de oven haalt en een slag draait om een gelijkmatige bruining van de korst te krijgen. Doen jullie dit? Ja Marika, wij zijn zo enthousiast over ons resultaat en denken zeker dat met wat meer gedraai het bij jullie ook perfect gaat! Hebben jullie ook al eens wat filmpjes bekeken van Roccbox? Ook heel inspirerend voor methodes en recepten. I picked up my Roccbox around the same time that you received yours and also have been making pizzas and pitas. I absolutely love it! I’ve learned a lot about bread making from your website over the last year or so and am looking forward to reading about your future Roccbox experiments! Congrats and great to read you love it too! And thank you for your kind words. And if you want to share your favorites we would love to learn about that too. Today we added some extra pics to the bottom of the article with some pizza’s we made yesterday. We loved the combination of ingredients and it’s so great to quickly grill your vegs in the roccbox and use them as topping. And the ‘naked’ pizza was also very tasty, due to the oil, the crust almost had a ‘deep fry’ hint about it.